Ground water quality assessment is important for use in various industries, for drinking, and for agriculture. 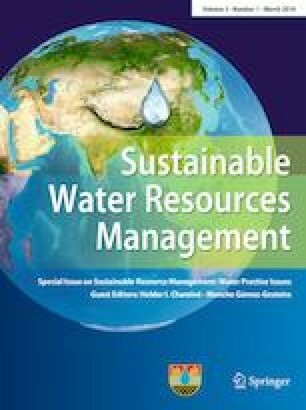 This paper tries to evaluate the quality of ground water used in agricultural sector in Kerman province. Kerman province, with an area of 180,726 km2, is one of the largest provinces of Iran. Agriculture is common in this region and ground water is mostly used for irrigation. Using zonation with GIS and standard tables, it was tried to examine the use of this ground water in drip and sprinkler irrigation systems. The results of zoning water quality in agricultural sector showed that water quality is classified into three groups of good, moderate, and unsuitable according to Wilcox classification. In term of TDS, a small amount of water has limitations and in term of EC, high amount of water is unauthorized. Also, the results of zoning showed that for drip irrigation, a small amount of water is unallowable in terms of CL and TDS, but regarding pH, the water of the total area is allowable. So, if the sprinkler irrigation system is implemented, in terms of acidity the total area has acceptable level, but in term of sodium and chlorine levels will be unauthorized.